When the skin is wounded or broken due to an accident or surgery, the skin’s attempt to regenerate the tissue creates a fibrous version of the skin, called a scar. Scar tissue lacks natural elasticity or hair follicles and is much less resistant to UV radiation. Hypertrophic – Hypertrophic scars are raised and caused by an overproduction of collagen during the regeneration process. 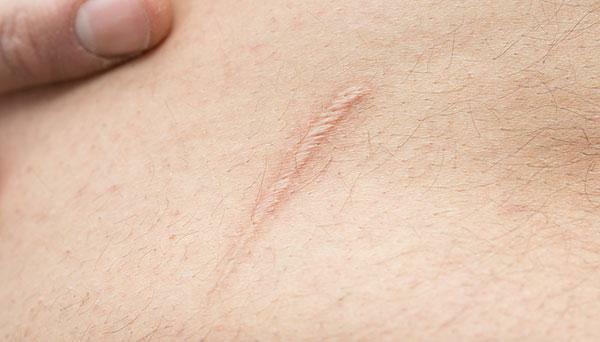 Keloid – Keloid scars also are raised scars, but in keloid scars, the building of tissue continues to grow excessively. Atrophic – Atrophic scars create a pitted or depressed look in the skin and that is because of the healing process not producing enough collagen to even out the skin depth.